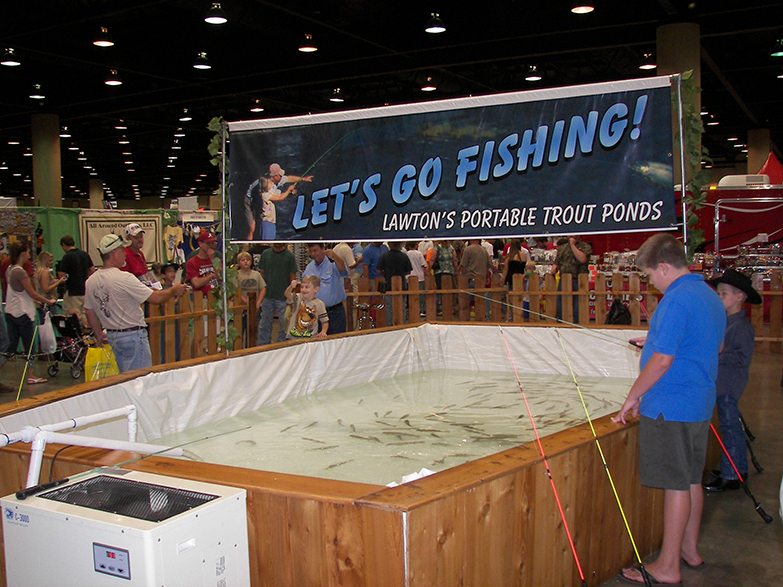 The portable trout pond is stocked with over 500lbs of farm-raised rainbow trout. You can fish for 5 min for $5. The attendant will bait your pole, and take the fish off the hook for you. No age limit for participation. The trout pond is located on the Downstairs level.